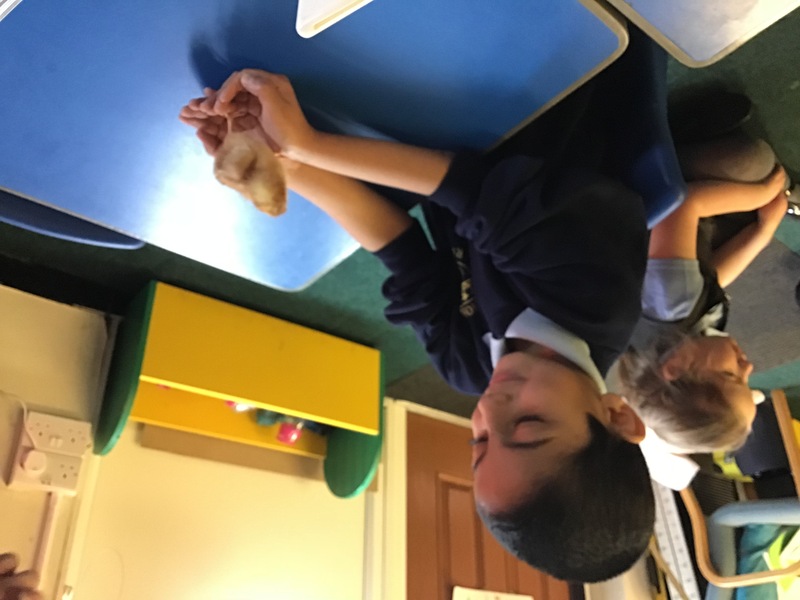 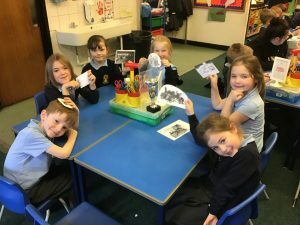 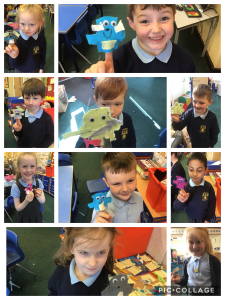 Year 1 are designing and making their own hand puppets. 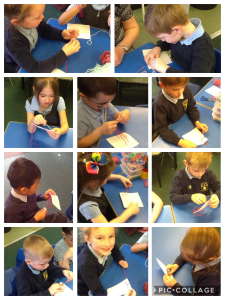 So far we have been practising our sewing skills and trying out the different techniques that we can use to join our pieces of fabric together. 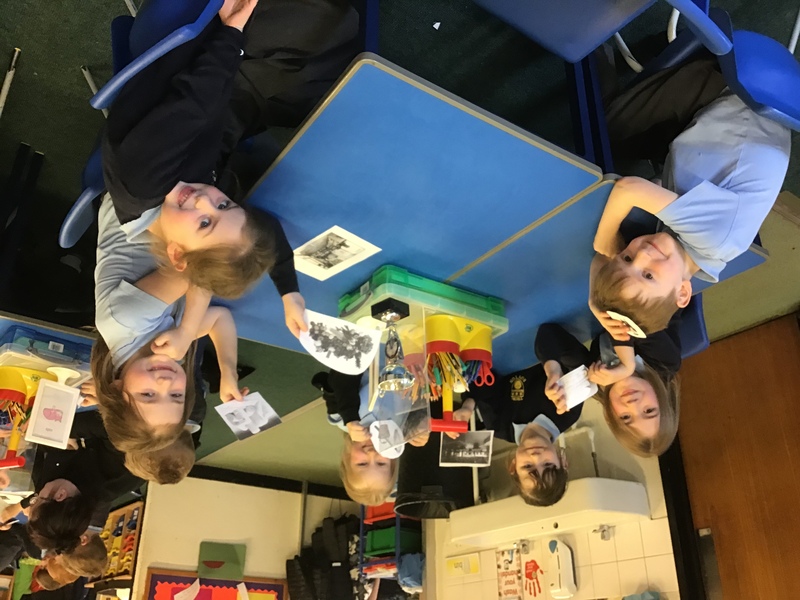 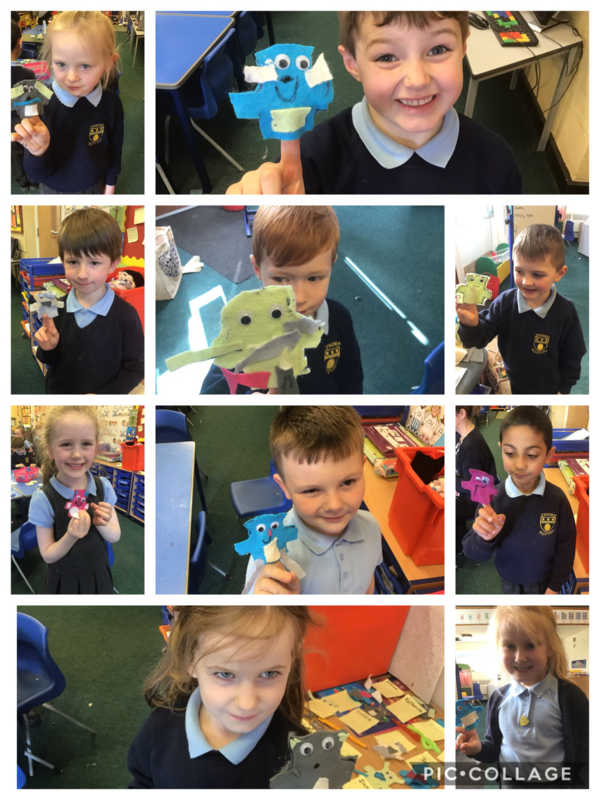 Our finger puppets were a great success so we are sure that the hand puppets will be fabulous! 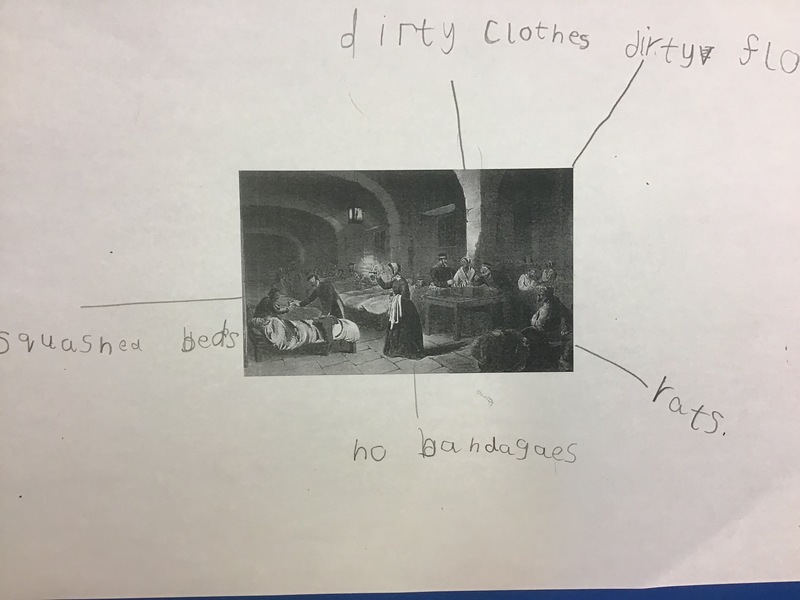 In history we are learning about significant people. 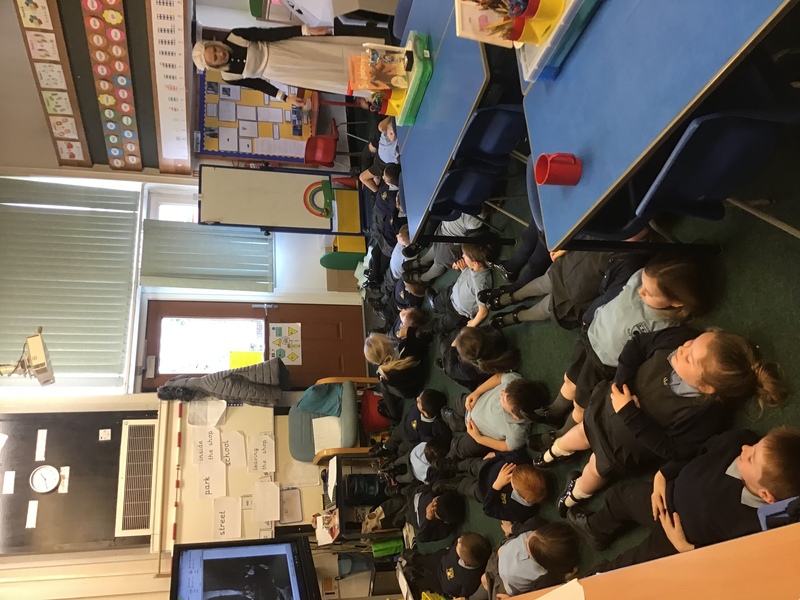 We have studied Florence Nightingale- she even came to our class to see us and tell us about her life. 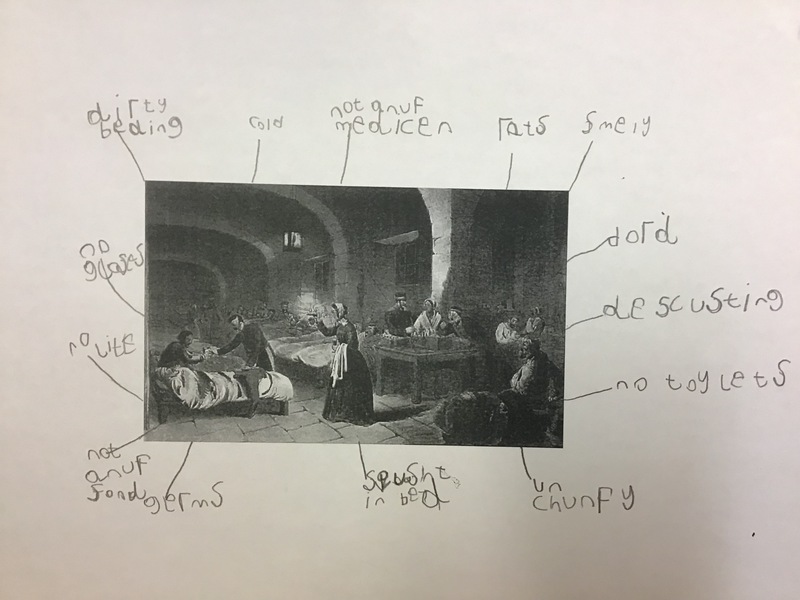 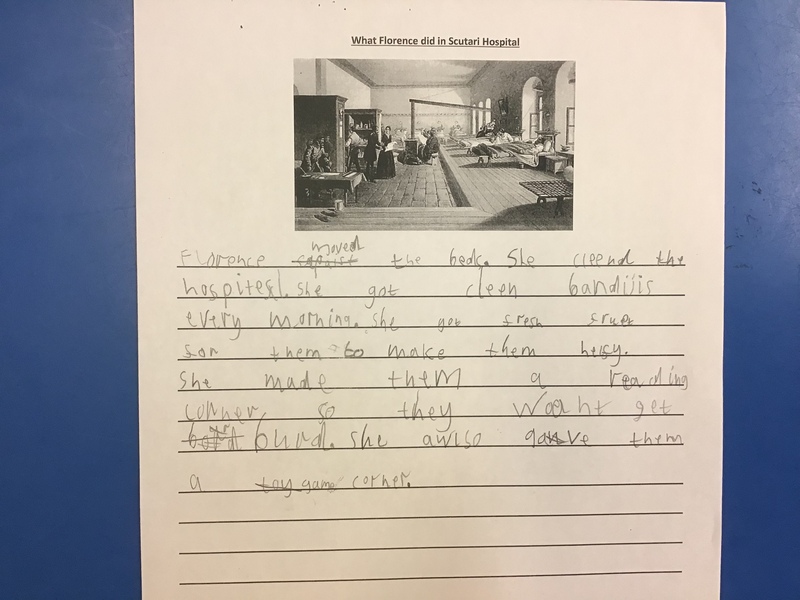 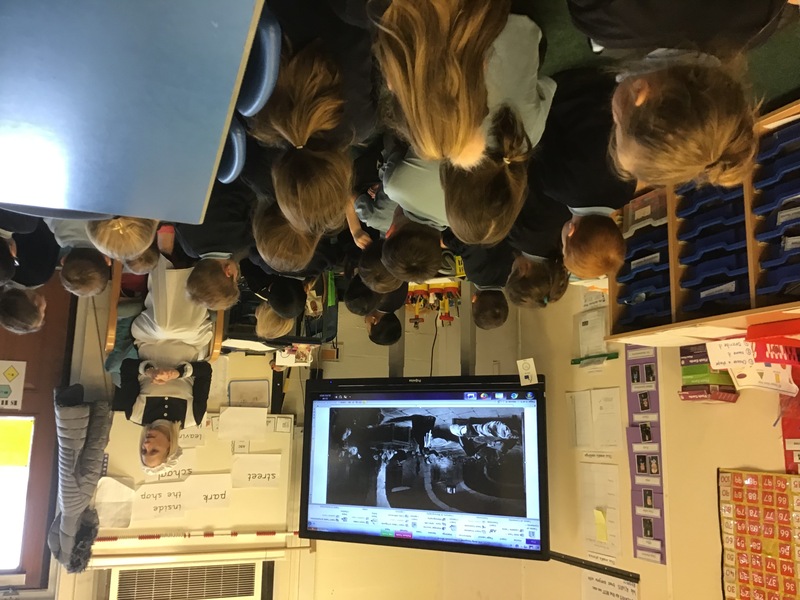 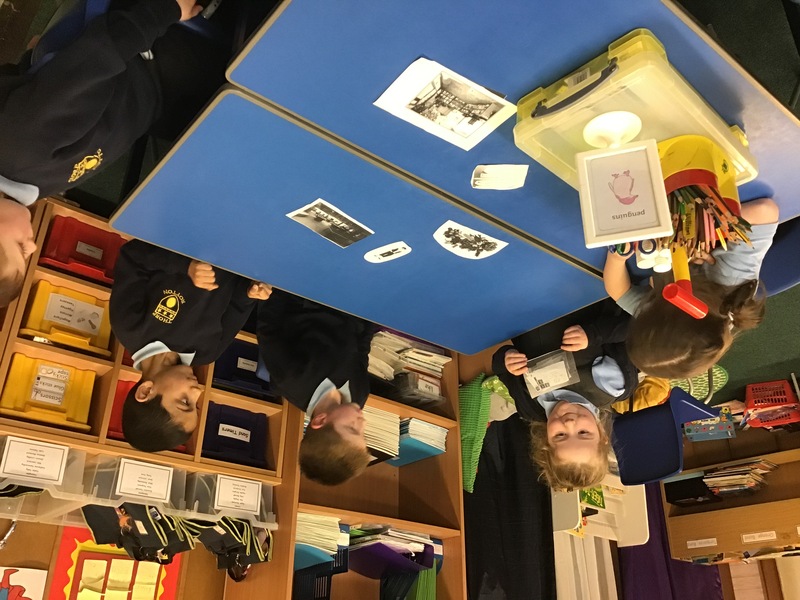 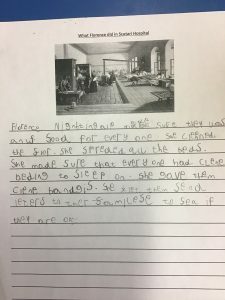 We learnt what hospitals were like in the Victorian times and how Florence improved them during her visit to Scutari when she helped the injured soldiers in the Crimean war. 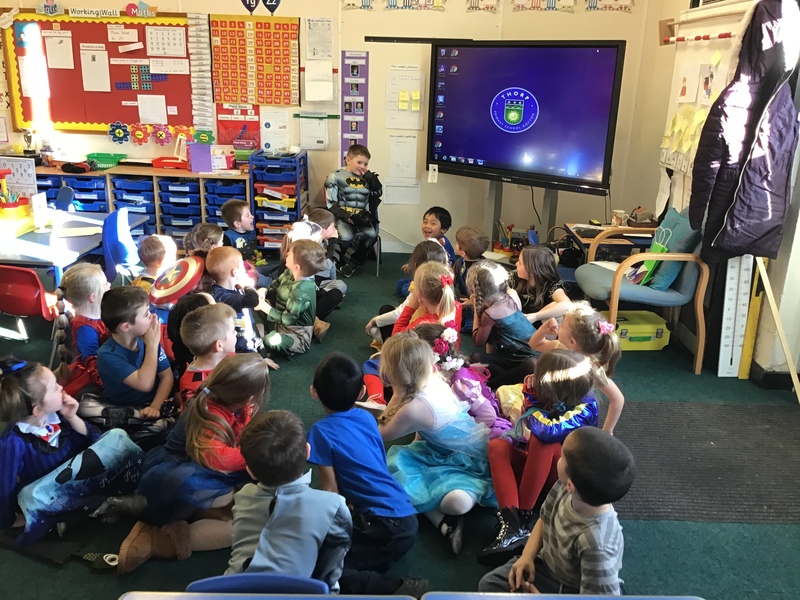 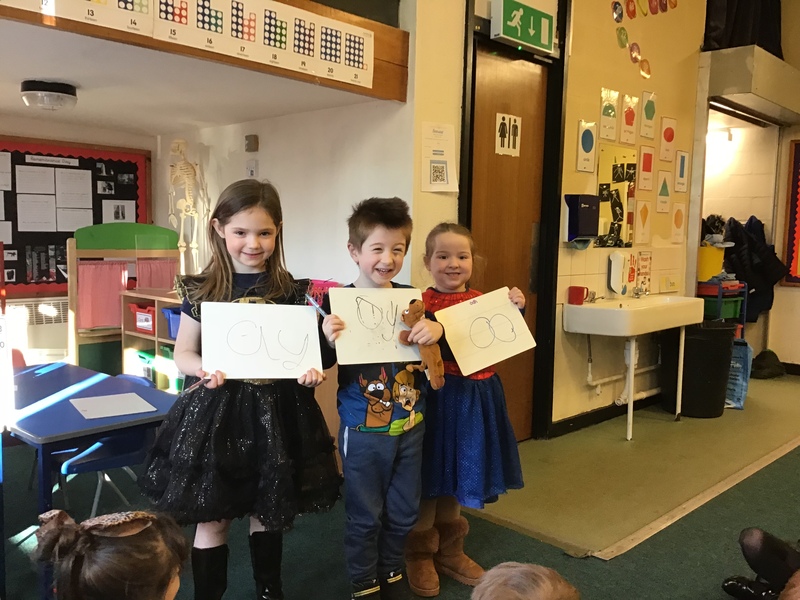 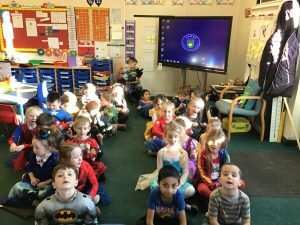 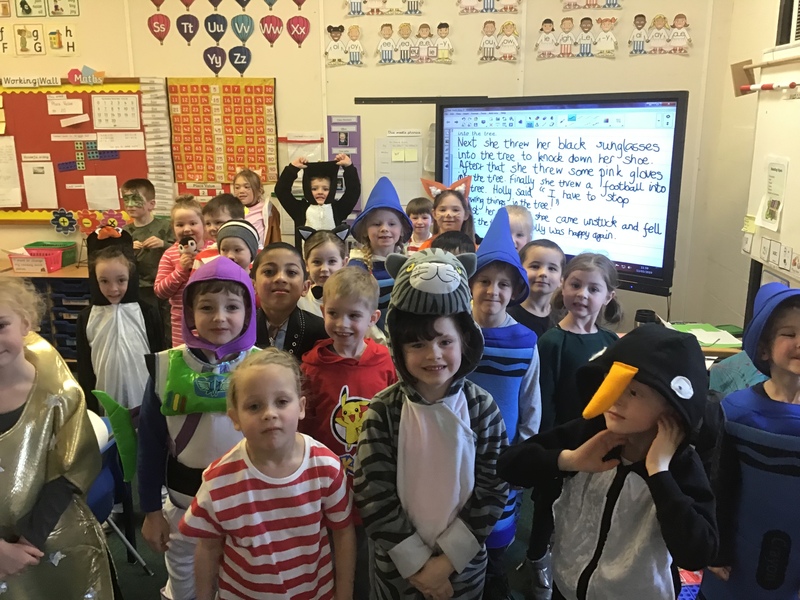 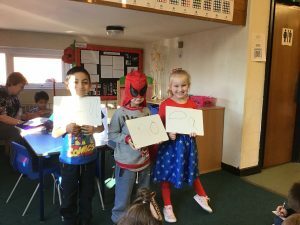 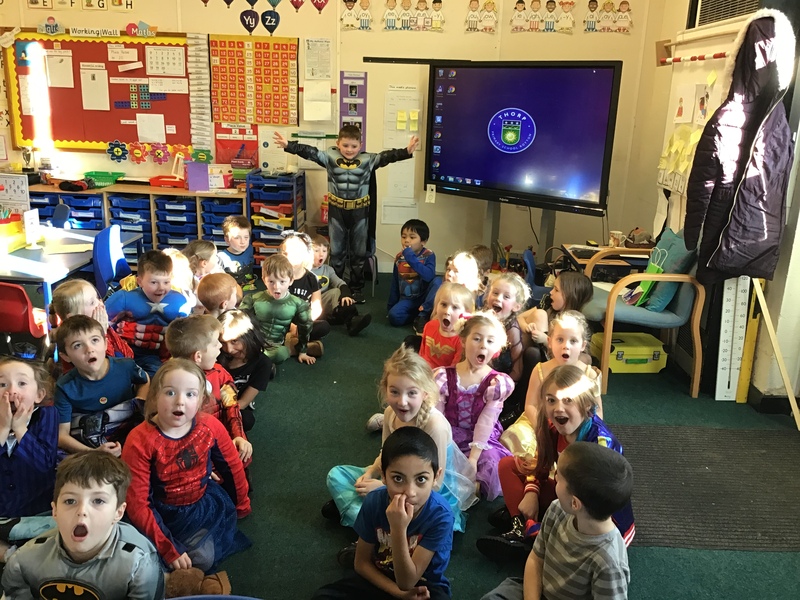 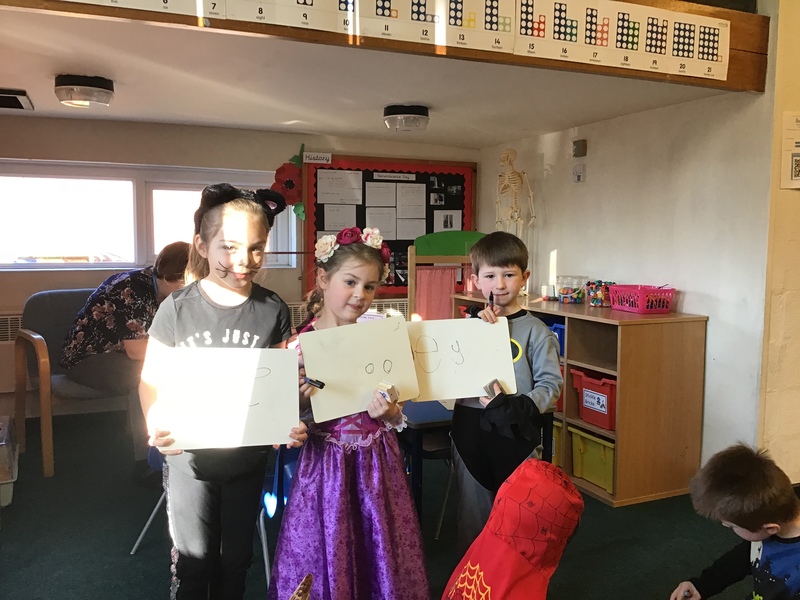 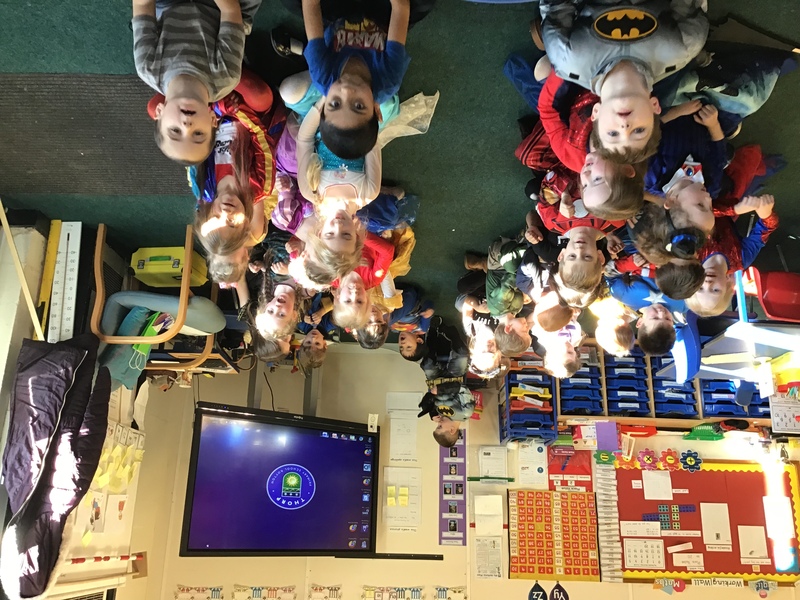 Don’t we all look fantastic for World Book Day? Year 1 class author is Oliver Jeffers. 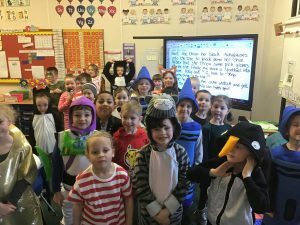 His books include “Lost and Found” and “Stuck”. 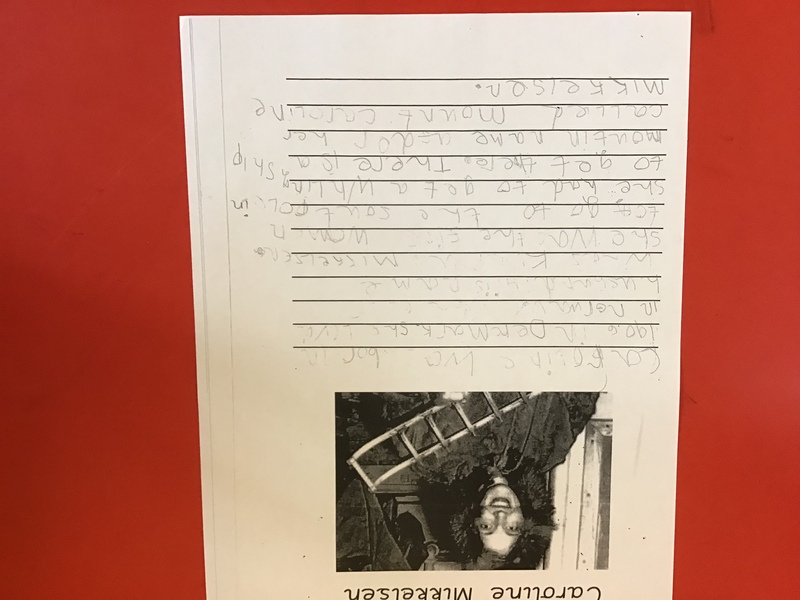 We are writing our own Stuck stories and hope that we can send them to our author for him to read. famous women-we got a reply! 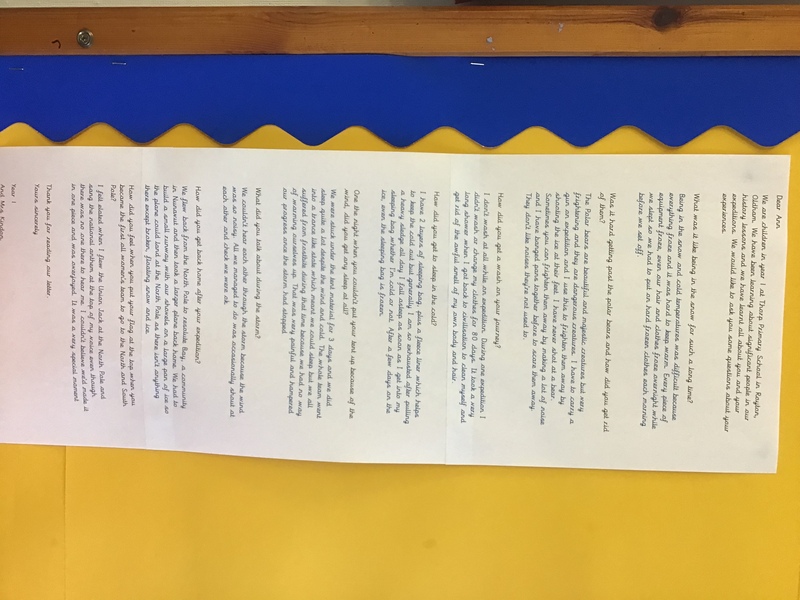 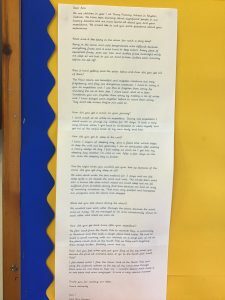 Before half term we wrote an email to Ann Daniels- the first woman to reach both the north and South Pole. 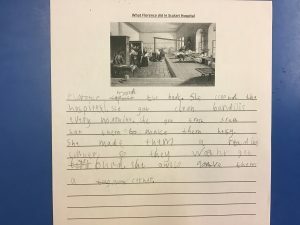 We worked together to ask her some questions about her expeditions. This week she wrote back to us. 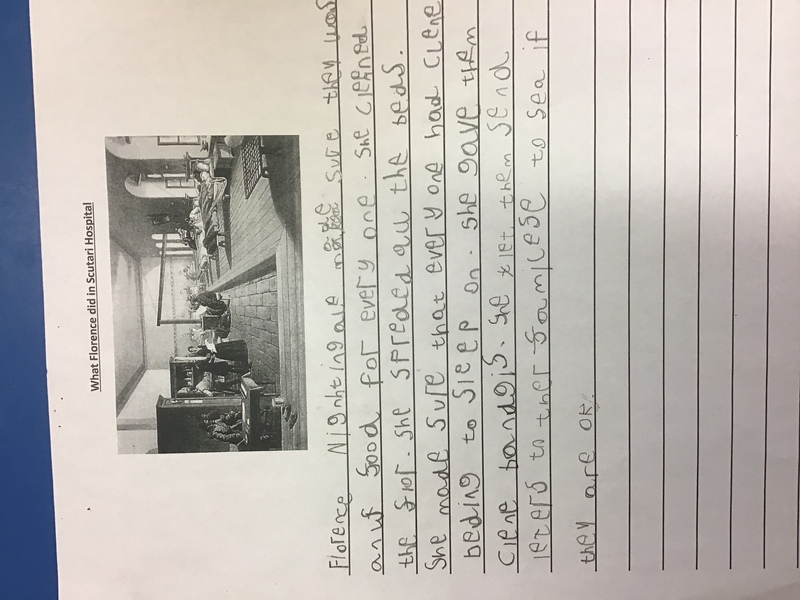 We were so excited to read her reply. 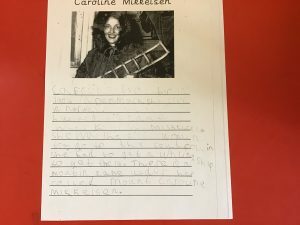 In history this week we have learnt about Caroline Mikklesen. 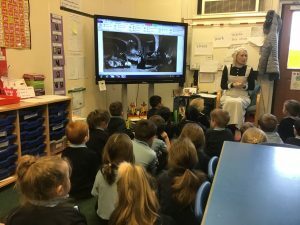 She was the first woman to reach the South Pole in 1935. 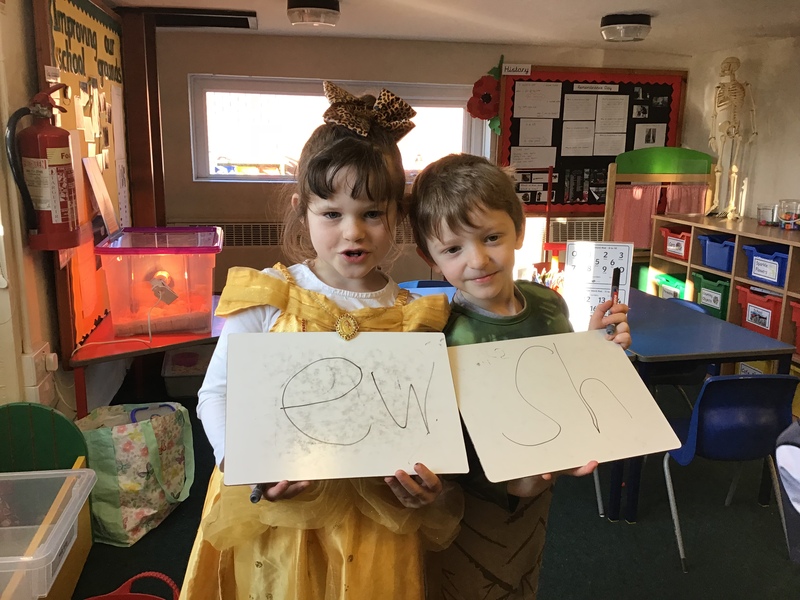 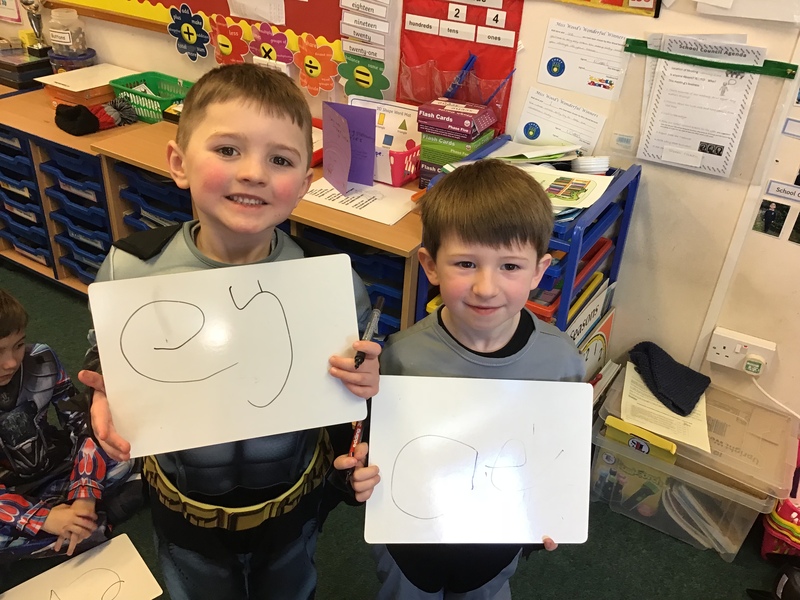 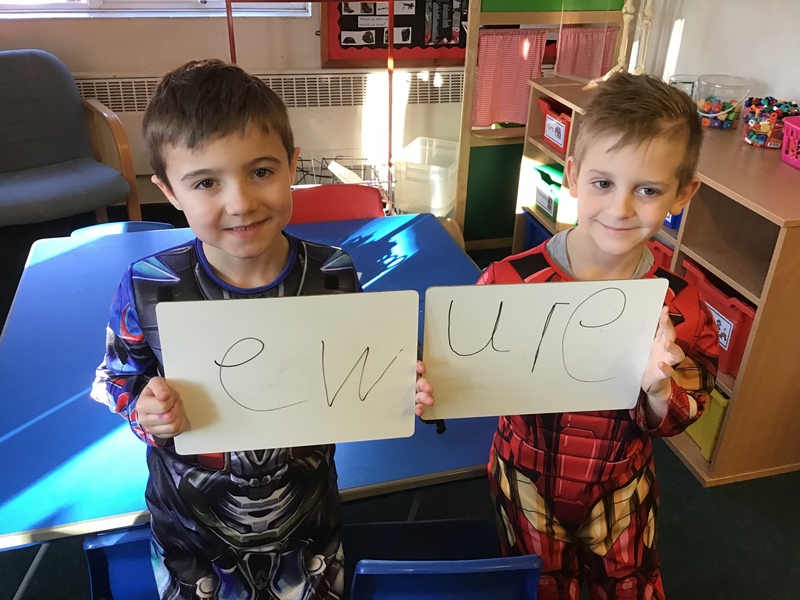 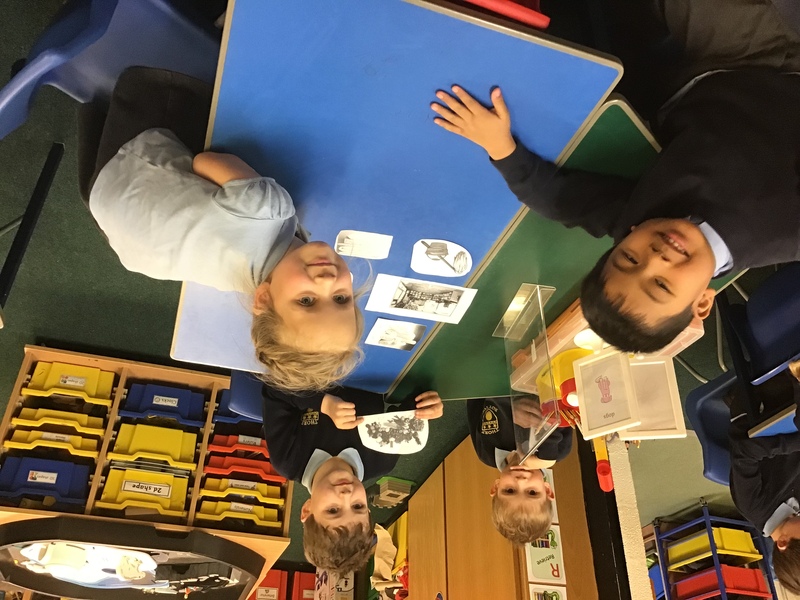 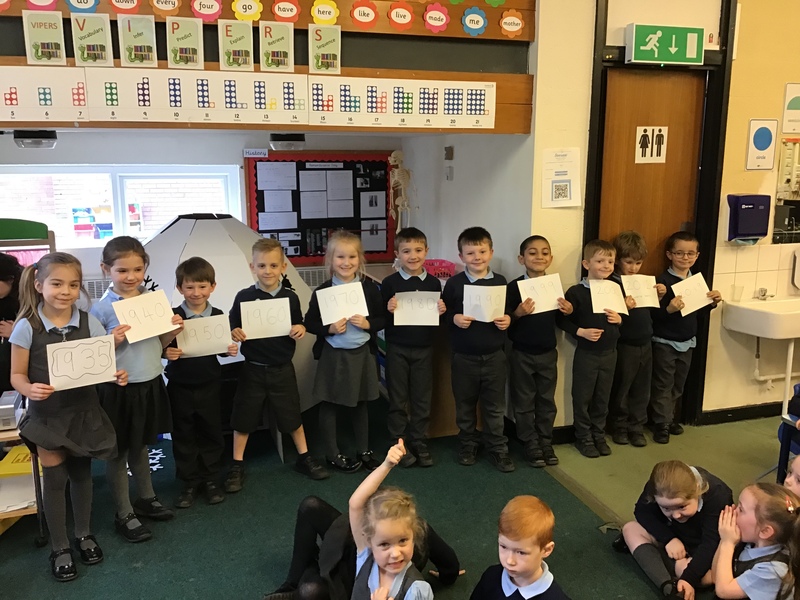 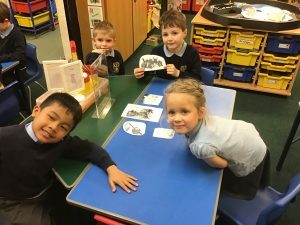 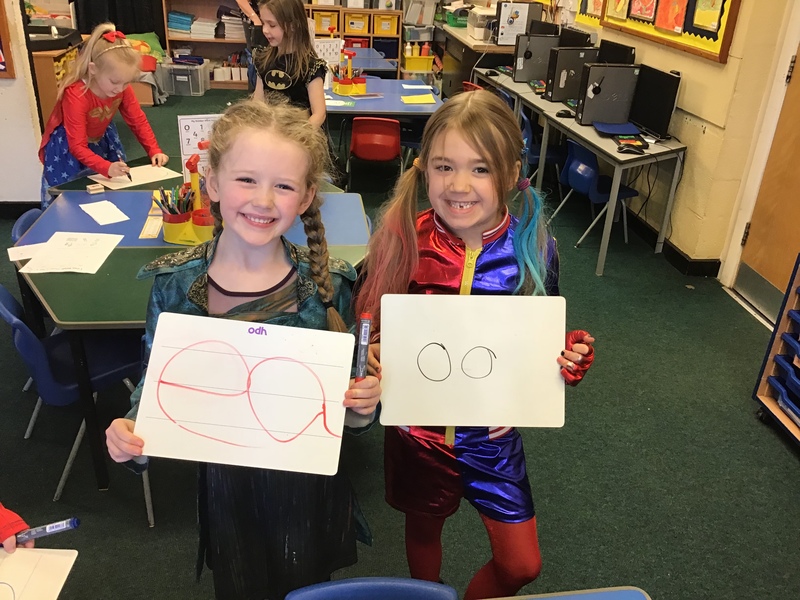 We have been having lots of fun making our own alien words today by joining with different partners to make new words. 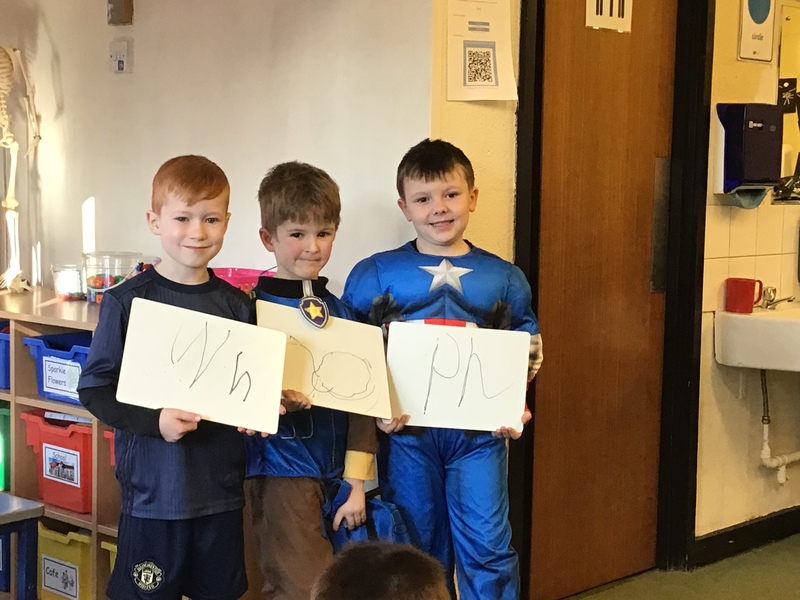 Can you read these alien words? 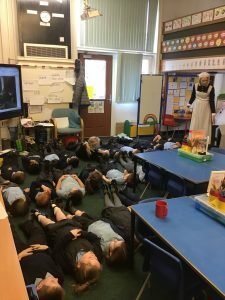 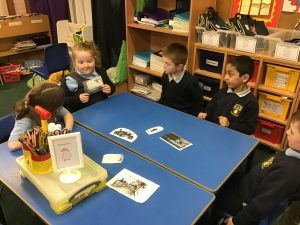 In our RE lessons we have been learning about the story ‘The stilling of the storm’. 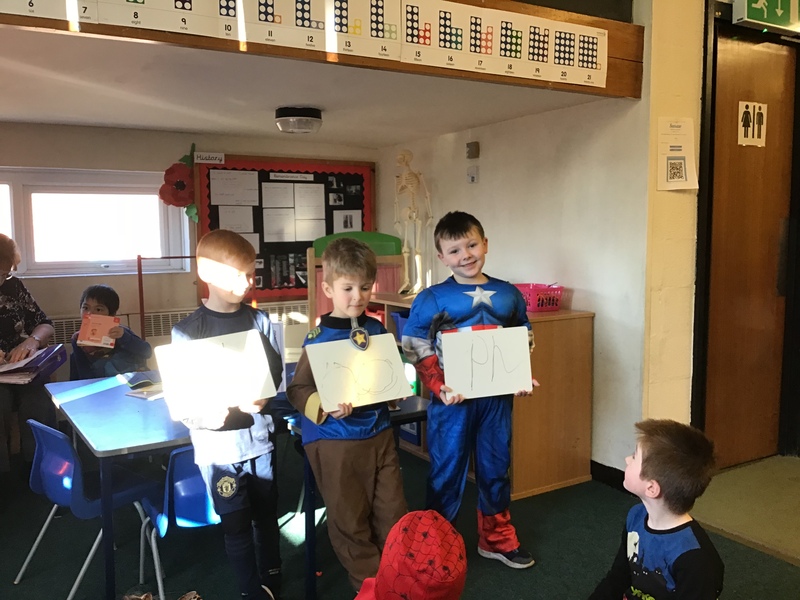 We improvised the scene from this story to help us think about what the disciples thought about Jesus before, during and after the storm. 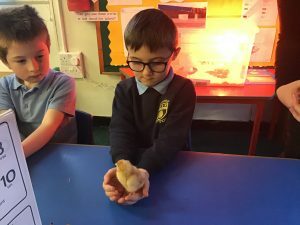 The chicks have been able to come out and play with the year one children. 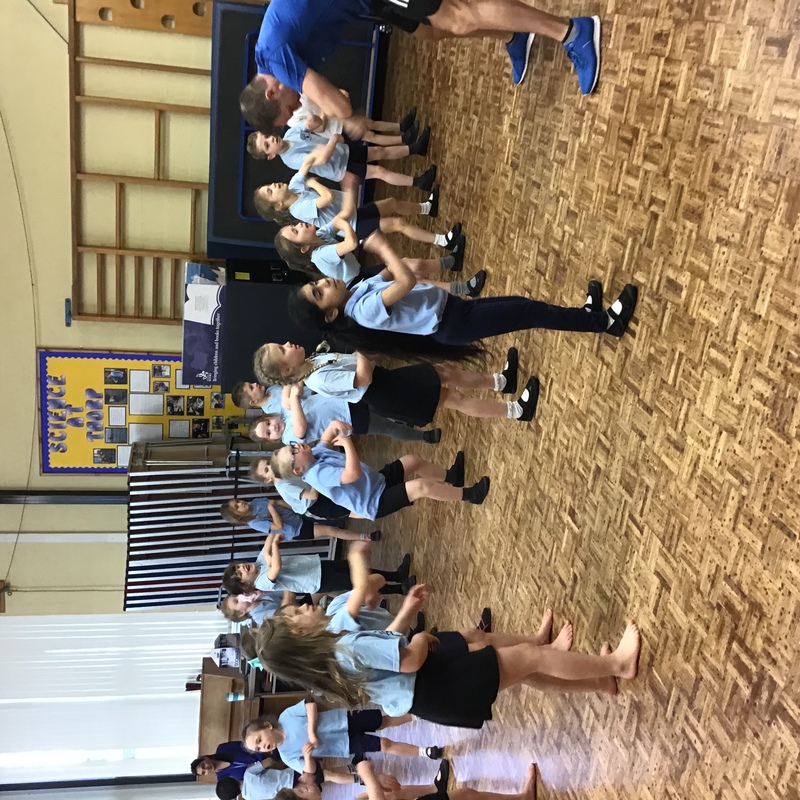 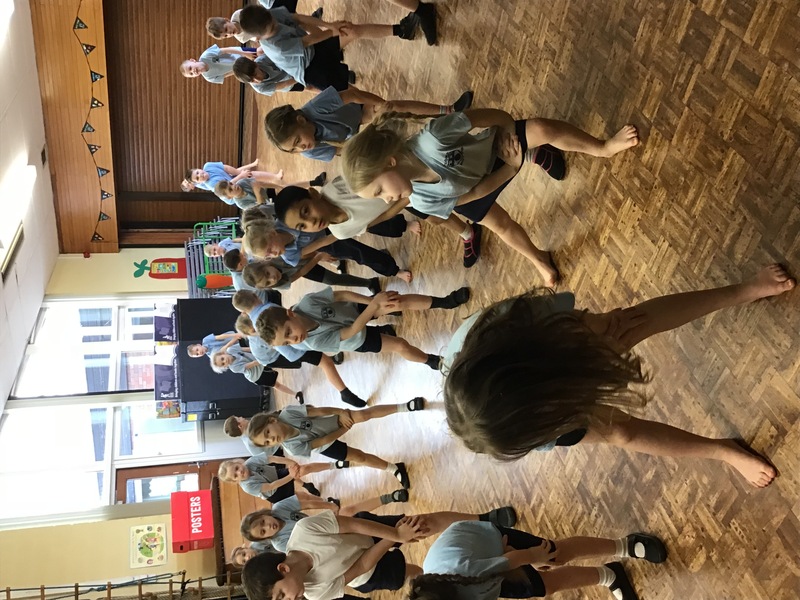 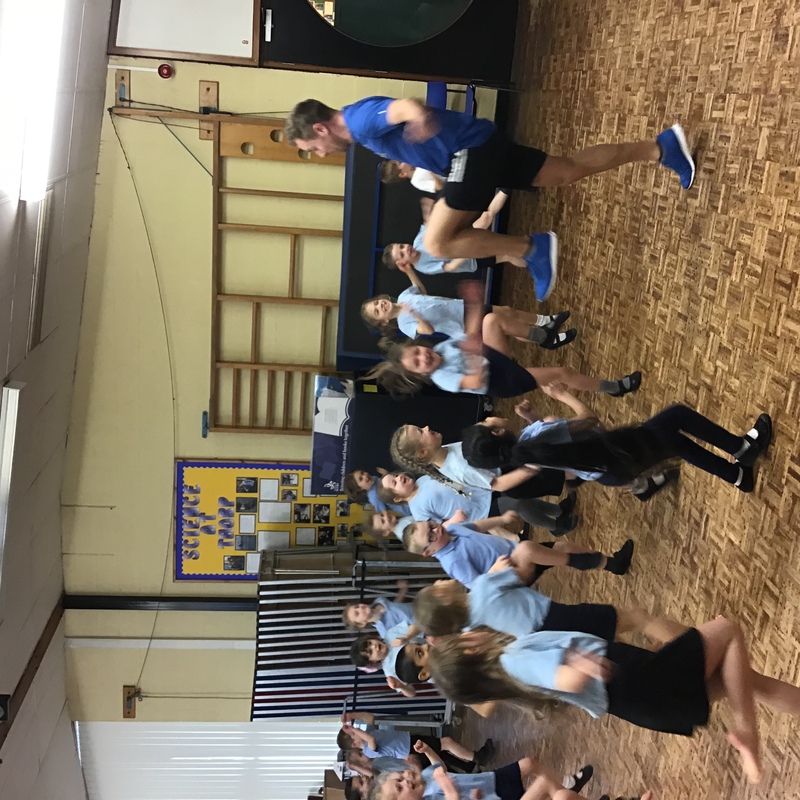 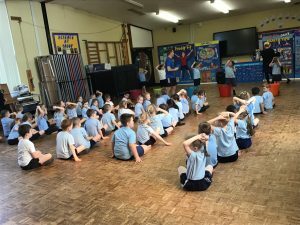 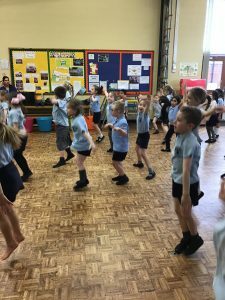 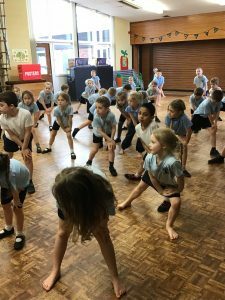 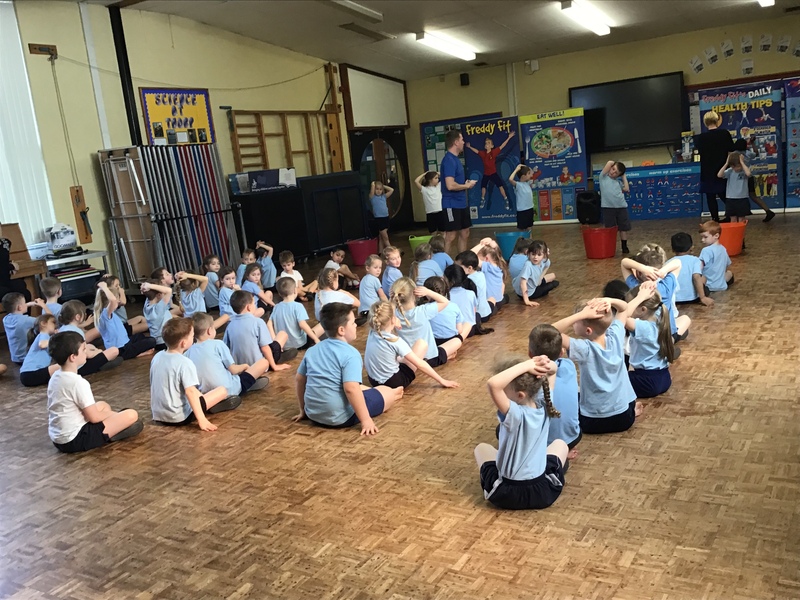 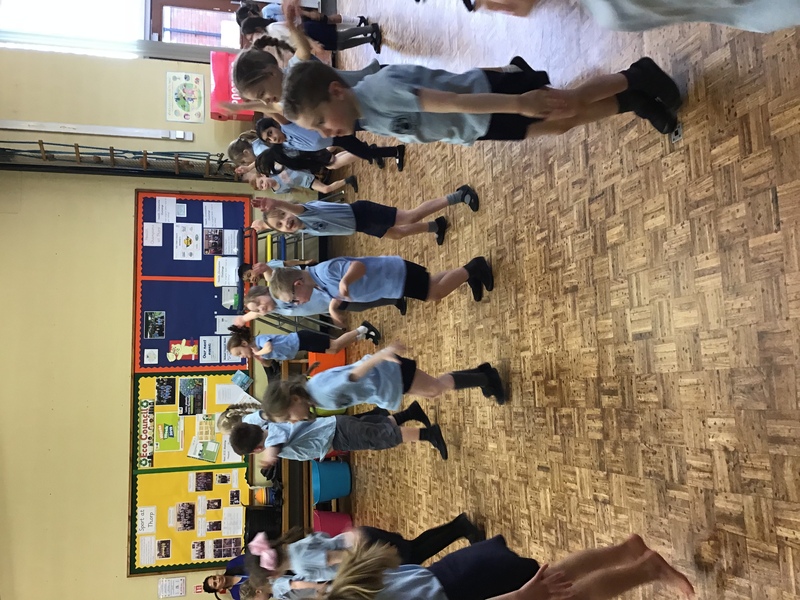 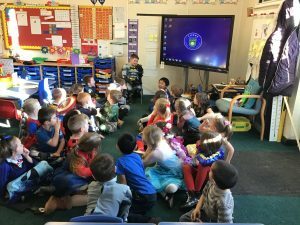 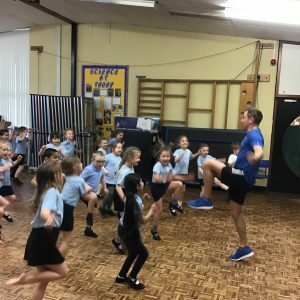 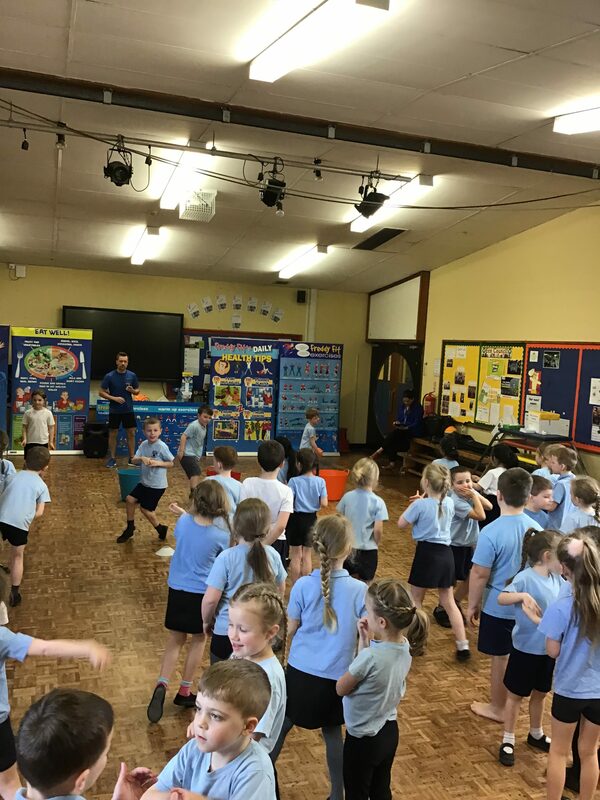 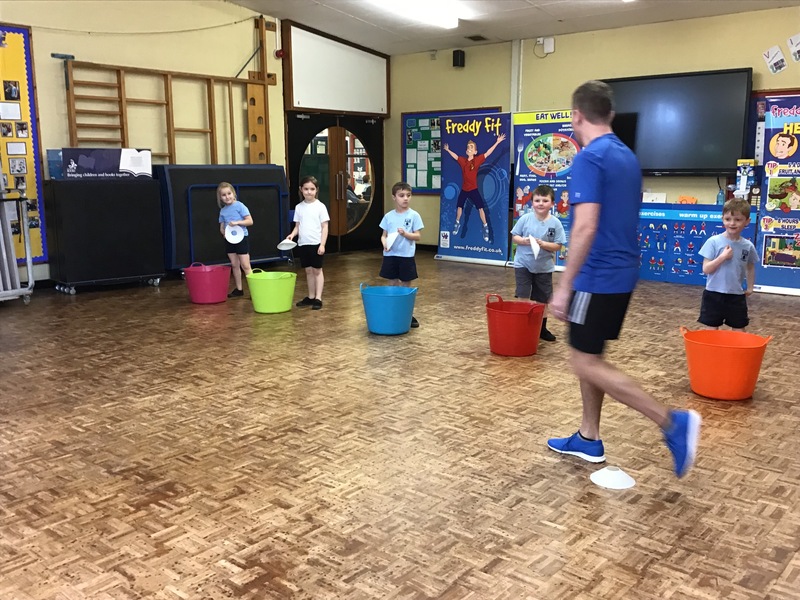 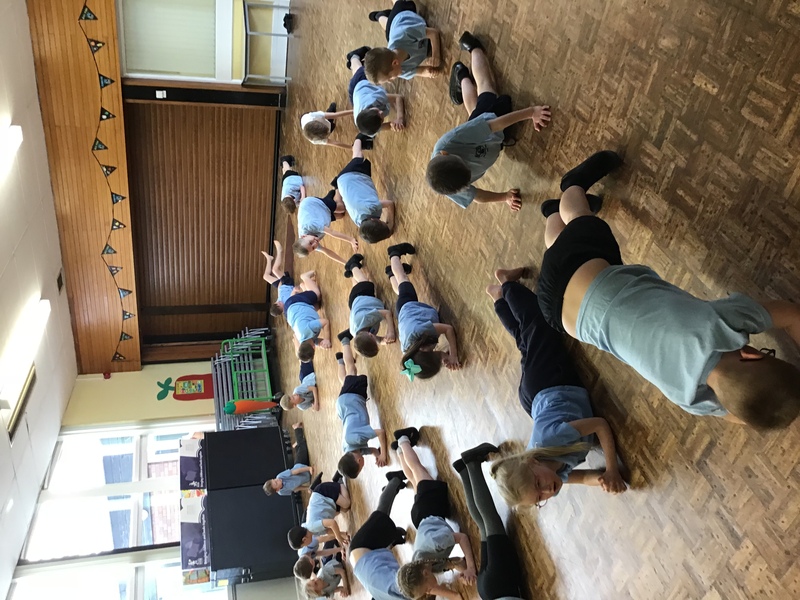 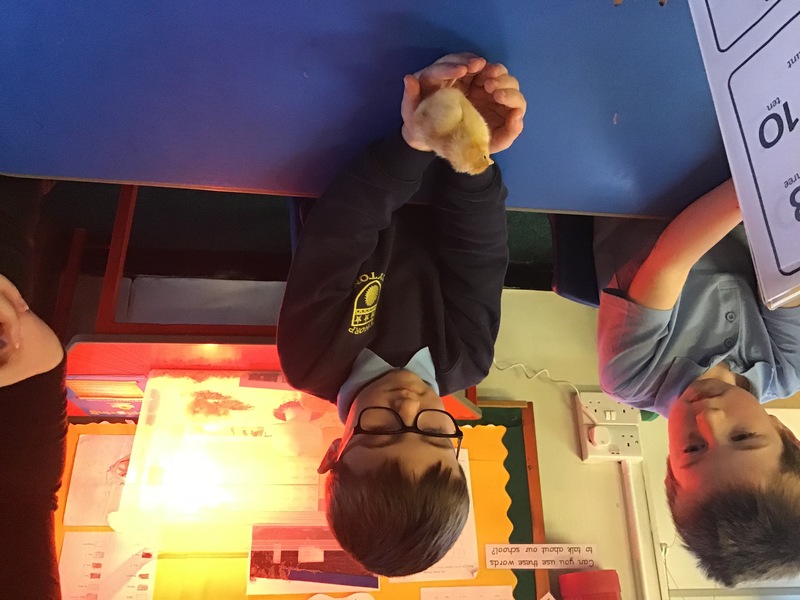 They will be in the class until Friday 15th February with the children learning how to look after them. 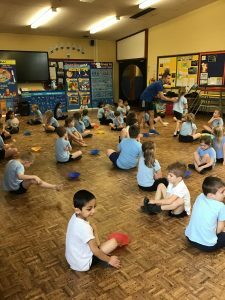 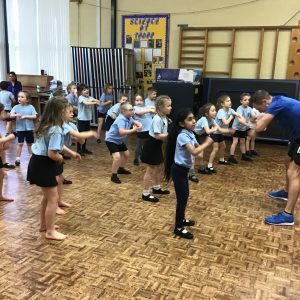 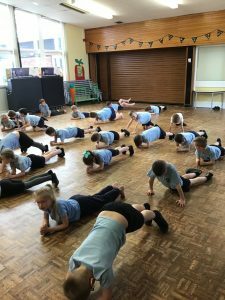 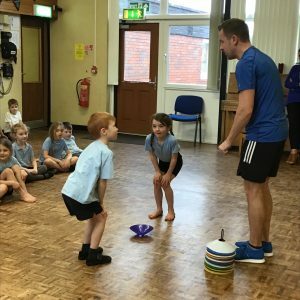 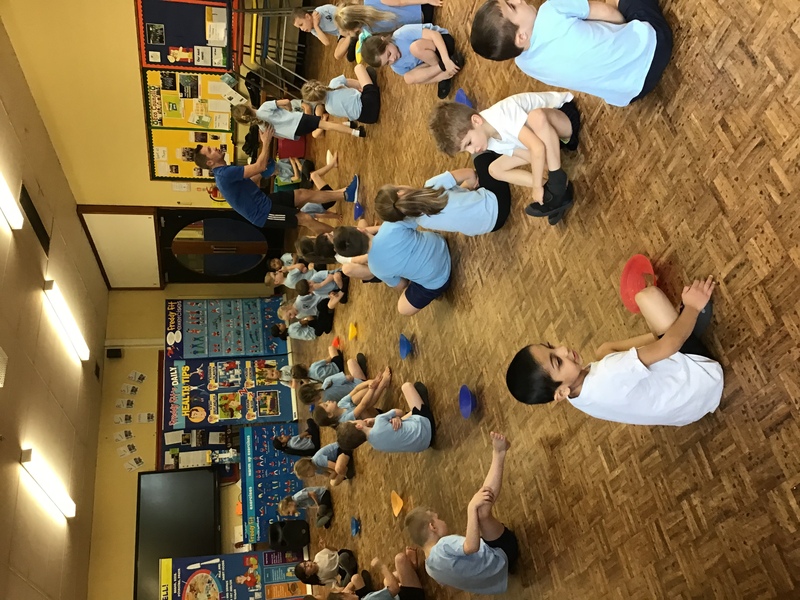 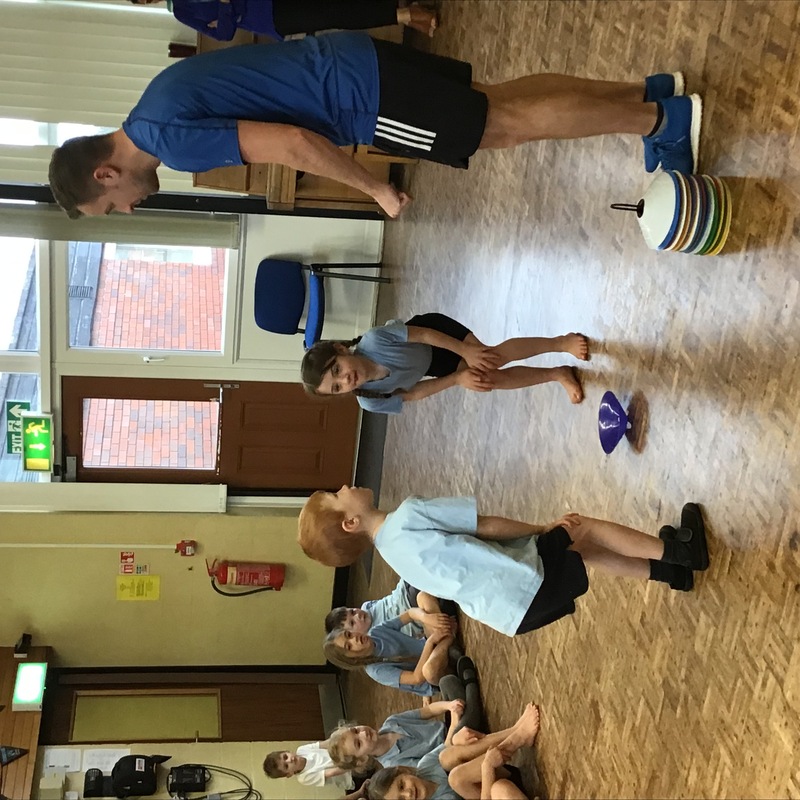 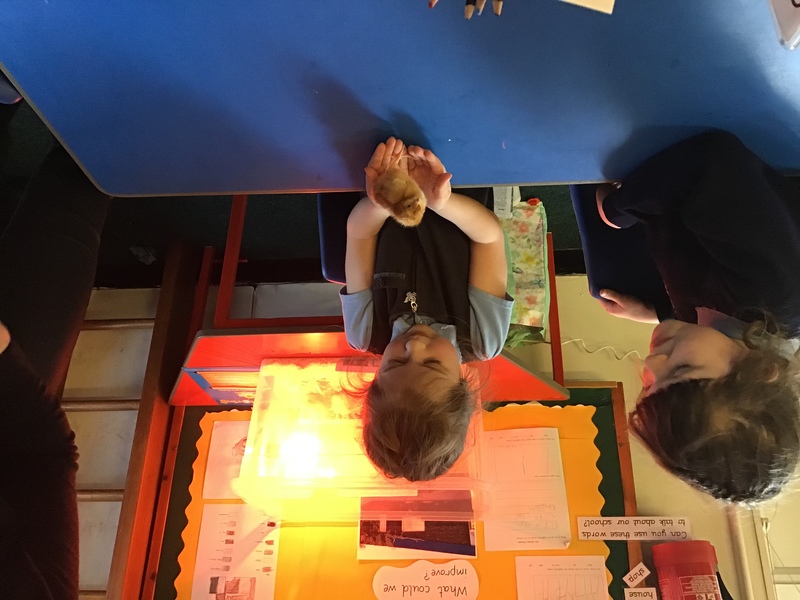 The children were very gentle and careful whilst handling them. 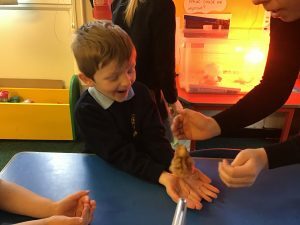 Isn’t nature wonderful? 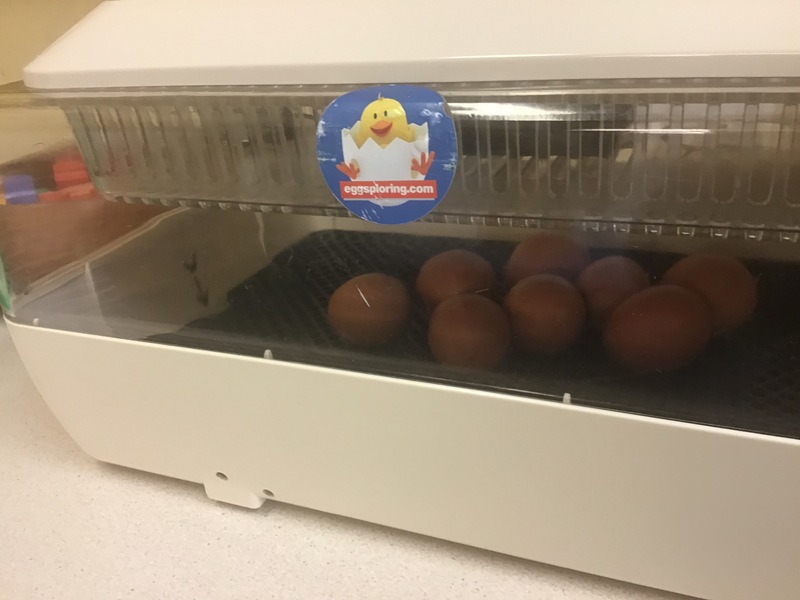 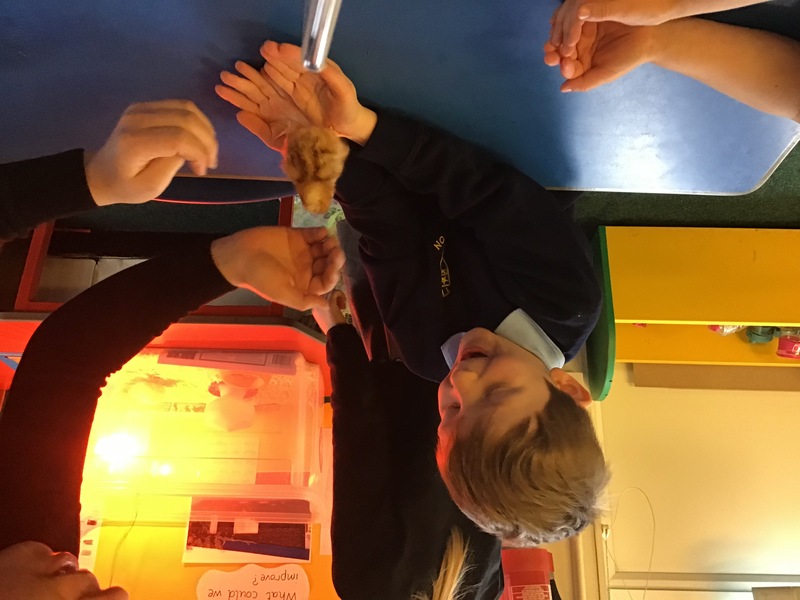 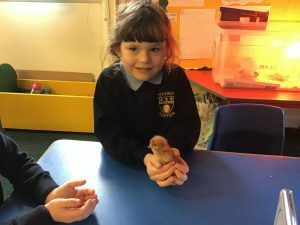 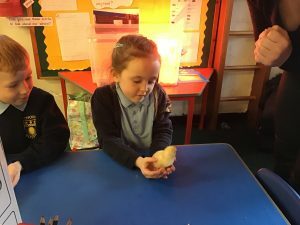 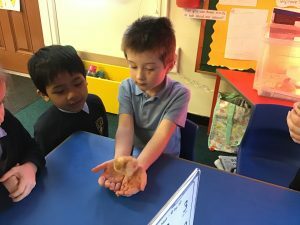 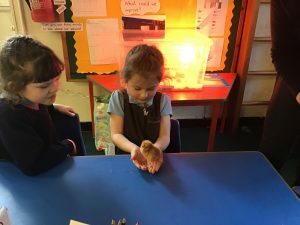 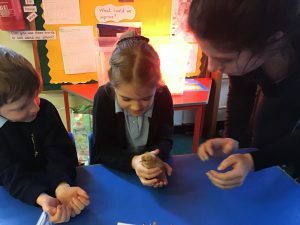 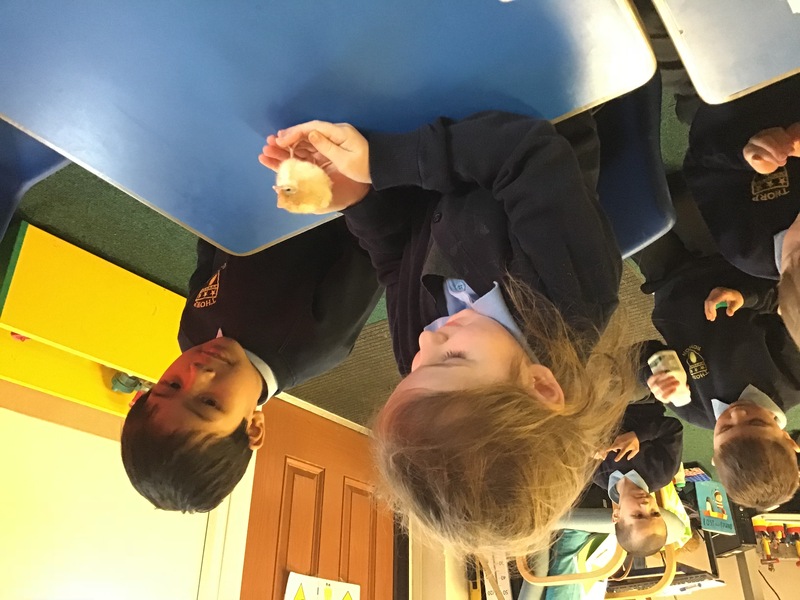 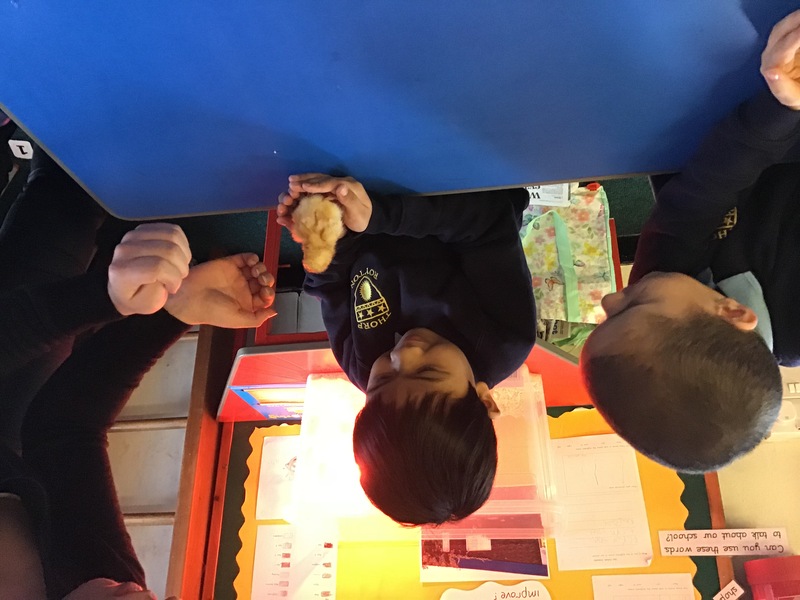 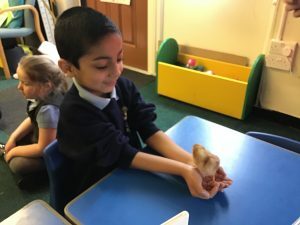 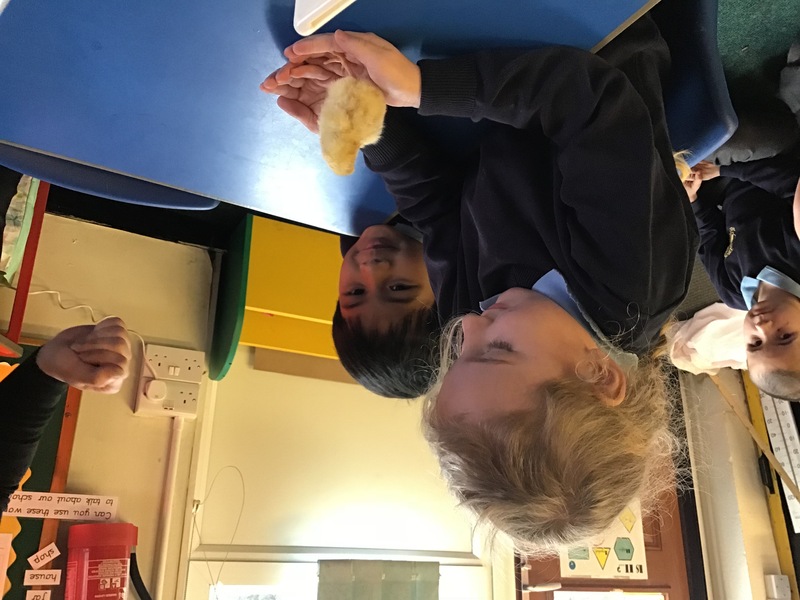 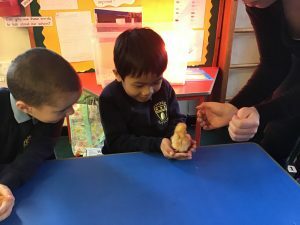 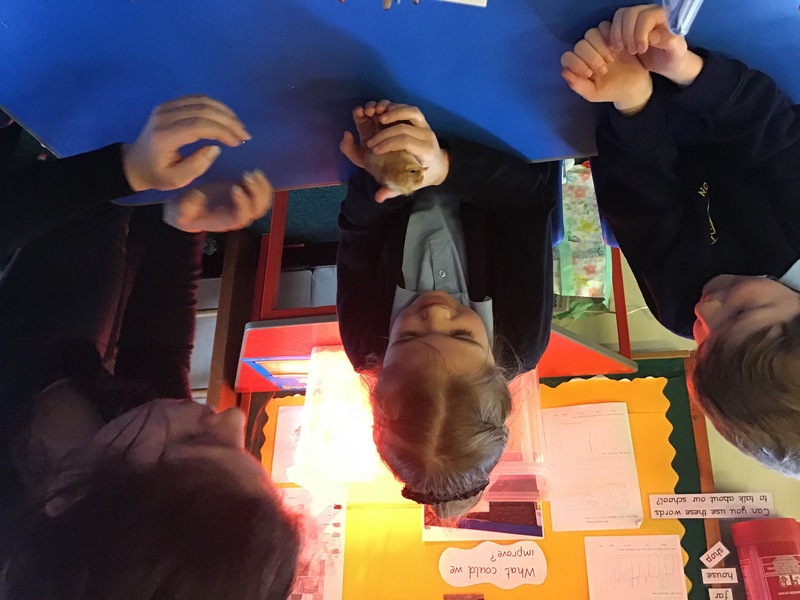 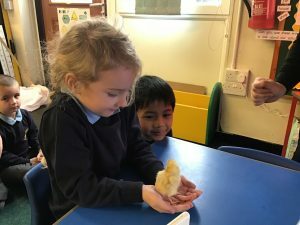 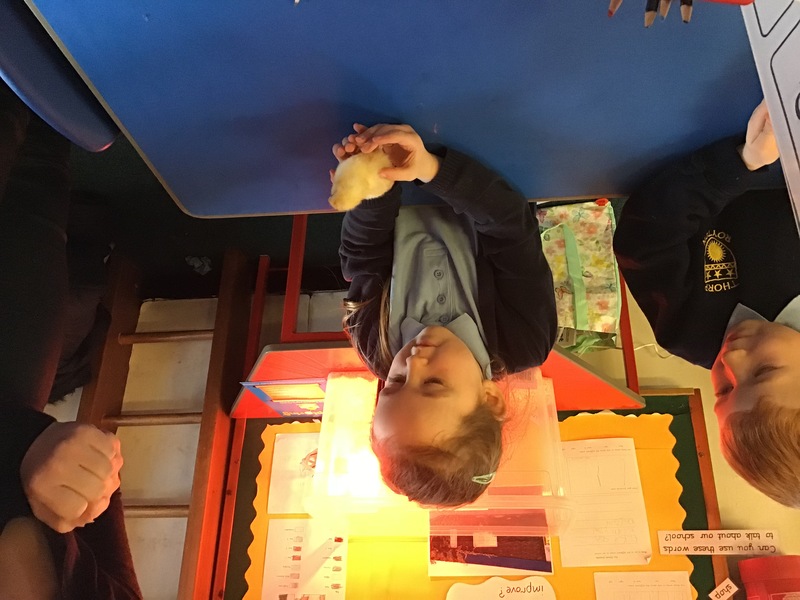 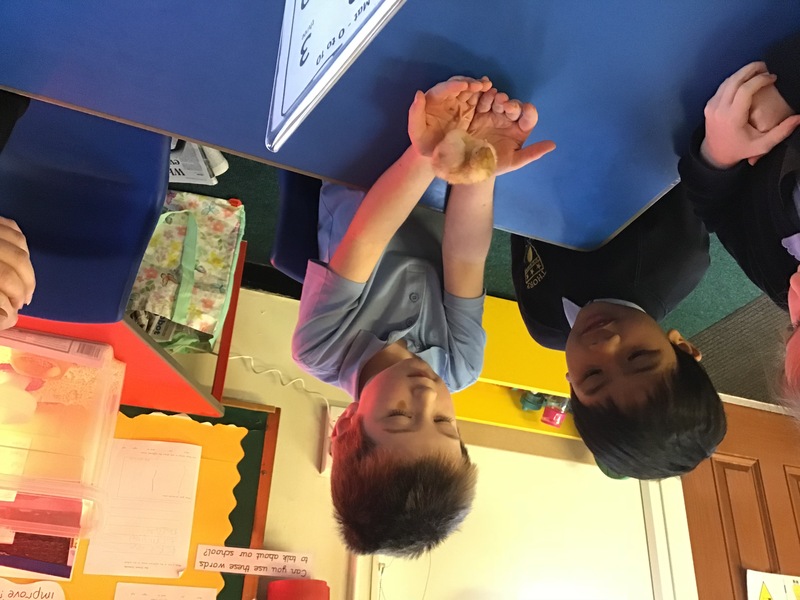 The children have been so excited and some actually managed to see one of the chicks hatch out of an egg. 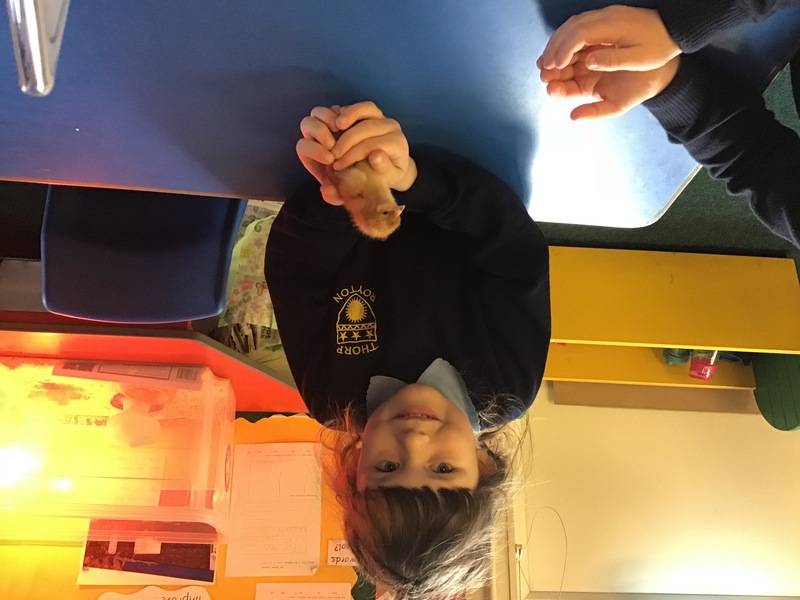 We now have three chicks but…. 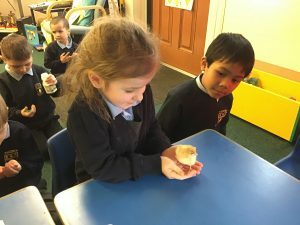 how many will we have in the morning?